Product Details - Material - Vinyl Material , Dimension -19 cm, Suitable-All Breeds Dogs, Use-Promoting healthy teeth and gums,Soft, cuddly, tough and robust dog toy. Product Information - Trixie Salami la Flute toy made of vinyl material with sound especially suitable for sensitive dogs. A great throw and fetch toy for your pet dog, easy to grab and see and easy to throw and pick up with hand strap. These fun toys are great for interactive games of tug and pull. 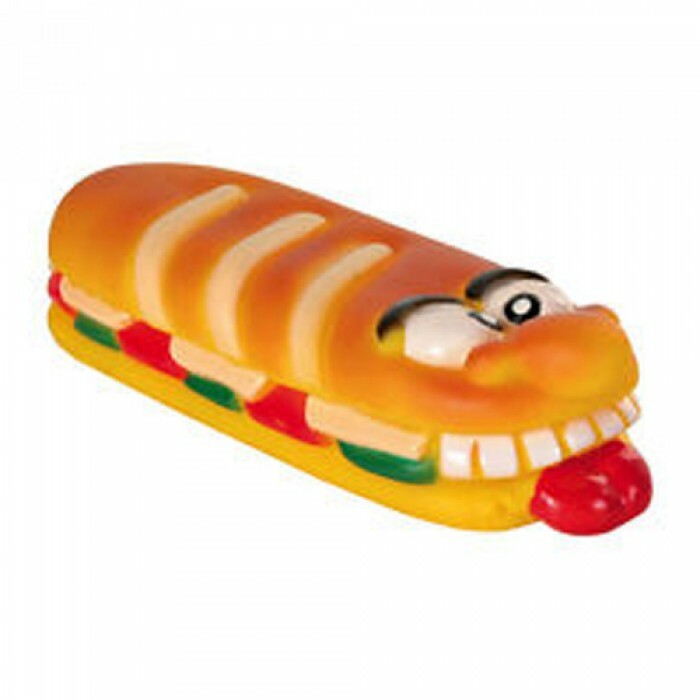 It is a chew toy which can be used for pets training and teeth nursing, Length- 19 cm.